Today, I want to share some tips about how to sell used makeup online. This could be a good business model or business strategy for certain people looking to make extra money from home. To start, just about every woman I know wears makeup on a daily basis. There is a HUGE demand for it. Even better, most women have their “favorite” makeup name brands they have been using for years. They are VERY loyal to these brands and are willing to fork over their hard earned money to buy it. Sometimes, these brands go out of business, or are no longer available to buy, yet the demand is still there. This is one reason you might want to sell used makeup online. We must first define what used makeup is. I like to think of it as new old stock, something that was purchased, but never opened or used. In most cases, there is zero demand for partially used makeup, because it has the previous owner’s germs in it, and is not sanitary. Most people don’t want to buy something like that. Instead, you want look for unopened goods. My wife helped me make this list. If you’re a guy like I am, or aren’t knowledgeable about makeup, you can do an internet search for each one of these terms to learn what it is. Here are a few places to look for inventory items to purchase. # 1 Your own house: Start out by going through your bathroom and closets to see what you can find. Chances are, you have something you can sell. # 2 eBay: Do a search on eBay® for wholesale lots. I buy items in bulk all the time on eBay® and then resell them individually on eBay®. Lots of people do this. # 3 Craigslist: You can find some great deals on used makeup on this site. # 4 Local Auctions: This is one of my favorite places to buy stuff. Check your local area for auctions and search their websites to see what they have for sale. You could potentially buy stuff really cheap. # 5 Thrift Stores: Check out your local thrift stores to see what you can find for used makeup for sale. There will be some great deals. # 6 Flea Markets: Check for flea markets in your local area. Some vendors offer some great deals on different items. # 7 Classified Ads: You could even put a free “wanted” classified ad in your local area letting people know you are looking to buy used makeup. # 8 Estate Sales: This is another great place to find used makeup to purchase. # 9 Friends & Family: Ask friends and family if they have any used makeup they could give you or sell you. # 10 Yard Sales: Scour your local area for yard sales every weekend and you will be amazed at what you can find. 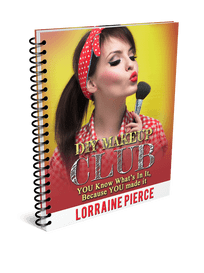 # 1 Your Own Website – If you have the desire to create your own makeup blog or website, this could be a viable option, especially once you’ve built up a reasonable sized amount of traffic. # 2 eBay – This is the largest online thrift store and place of to buy used goods that I know of. There are millions of shoppers and the fees are reasonable. # 3 Craigslist – If you desire to sell locally, for cash, this might be your best option. Beware of the scammers trying to hustle you with fake money orders, and also make sure you read the website’s terms and services to see if it is even eligible. # 4 Amazon – Amazon is the largest and most popular website in the world. Just make sure you read their terms and policies to make sure what you want to sell is eligible. 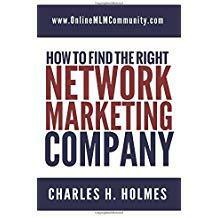 *** I also suggest you look for brands you have never heard of before, such as smaller brands. Most of these brands weren’t massed produced, and there might just be a good niche market for them. Here are some of my best tips for success to sell used makeup online. Research prices for used makeup on eBay® to see what items are currently selling for. Buy items in bulk if you can get a cheaper deal. Set a limit for the least amount of profit you are willing to make per item and stick to it. Consider specializing in a certain brand of used makeup or a certain type of makeup (i.e. lip gloss). Build up an email list of your buyers so you can stay in touch with them and let them know when you receive new inventory. Consider sending a weekly or monthly newsletter to all of your buyers. Start really small and test to see which type of items sell the quickest and for the most amount of money. # 1 Product Research – Start out by spending a few hours online to see which type of used makeup products are in demand. See which websites have the most sales, which items are popular, and how much items sell for. Make a detailed list so you have a good idea about what you should look for. # 2 Source Inventory – The next step is to source your inventory using any of the steps listed above. # 3 List & Sell Items – Once you have some inventory to sell, you need to list them items on the website you choose and sell them. # 4 Repeat – Repeat this process over and over for 90 days and you should know what you are doing. Fine tune, streamline and look for ways to improve. There you have it folks. These are my best tips on how to sell used makeup online. For the right person, this might be the perfect business model to pursue. What do you think? If you have any experience selling used makeup online, please leave a comment below to share any tips you might have. I look forward to working with you.